Concept2 Model E Review: Worth the price? 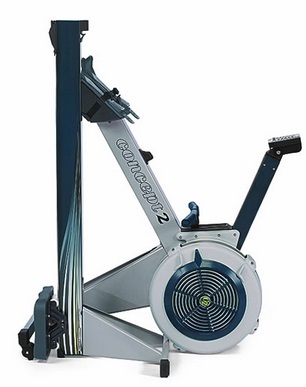 The Concept2 is the first choice for many serious rowers and rowing clubs for indoor and out of season training. It's been around for years now setting the benchmark for other manufacturers to follow. The Model E is around $200 more than the model D, but what extra do you get, and is it worth it. Well yes and no. The E is definitely sturdier with its welded steel frame so will suit the bigger rower. The seat sits a good six inches higher so will be easier to get on and off for the taller person - but once on it there's little difference. The nickel coated chain on the Model E means it's more resistant to corrosion and therefore will need less maintenance - but this takes very little time anyway so won't make much difference. So if you're on the large side, tall or will be giving your rowing machine some serious stick then perhaps the Model E is for you, otherwise the D will give you almost as much - for less. 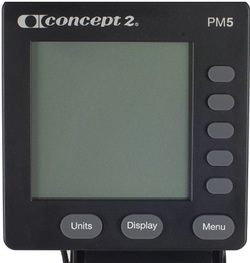 The monitor that comes as standard with the Concept2 E is the PM5. The LCD screen is functional if not fancy and shows everything you need to know about your workout, including strokes per minute, distance rowed, calories and session time etc. You can select the format of the display to suit the type of workout you're doing. The PM5 contains with three games that help to bring some competition to your training - these aren't to everyone's taste so you can take them or leave them. A popular program is the 'race boat'. With this option you can compete against another rower (shown on screen) and either set the pace or race against one of your previous sessions - nothing like losing against your past self to get you motivated! The PM5 is compatible with the wireless Garmin heart rate monitor and comes with a chest strap. This means you can train in your optimum heart rate zone for maximum benefits. It can also be used with Polar heart monitors but you need to purchase an additional receiver first. 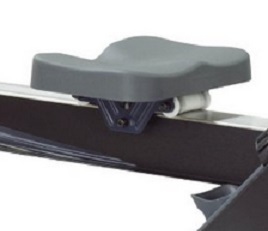 Also well worth considering is the Slide accessory to give you the sensation of rowing on water. You place the machine on the slides and as you pull you slide back as if you were on water - neat! 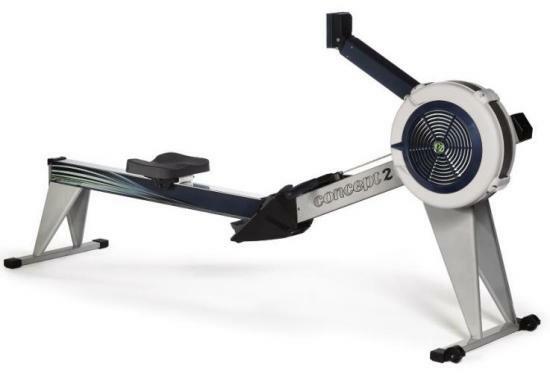 The Concept2 E is sturdy model that will last for years with very little maintenance. It's a great machine to use, comfortable, and particularly good if you're tall or well-built. Ask any serious rower and they'll tell you that a Concept2 most closely resembles to feel of rowing on water. This isn't necessarily vital if you just want to get fit, but if you're considering taking up rowing as a sport, this might be a deciding factor. 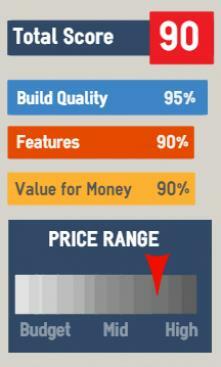 * These prices may change on a daily basis - check retailer website for latest. The padded seat and height. It's durability and reliability - it will last for years! The shape of the handle is easy on your hands. Console displays more information than you'll ever need. Your performance can be stored on a PC - plus online options. The flywheel is noisy in a confined space. 95" x 24" x 30"
2 Years on moving parts and console. For a few hundred dollars less, you might consider the Concept2 Model D, or you may want to take a look at the LifeCore R100 or the exciting Slider Dynamic from WaterRower. Or you may want to check out the BodyCraft VR500 if you love pre-set programs and gadgets! "Why would you buy anything else? My fitness club has used Concept2 for ever since I can remember so when I decided to get one for the home the choice was a no-brainer. Had it now for seven months and even with daily usage it's still as good as now." Viv P.